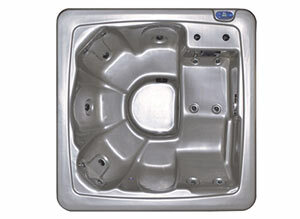 Viking V-500 Hot Tub For the Low Price of $2799 at Sunny's! Viking V-500 Spa For $2799! As you may have heard on 99.5 WYCD, Sunny’s Pools and More is offering a Viking V-500 spa for the low price of $2799! This particular hot tub is usually priced at $6,195, but with this great offer you can get it for $2799, that is a huge saving! If you wherever wondering when the time was right to buy a hot tub, the time is now! 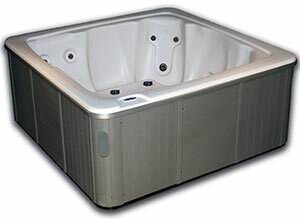 To order one of these great V-500 hot tubs, simply visit any one of our great locations. The dimensions of the V-500 hit tub are 78″ x 78″ x 34″ H, dry weight is 470 lbs. and a maximum capacity of 270 Gal. The tub also comes with a warranty, a lifetime shell warranty and a 1 year parts and labor warranty. There has never been a better time to save on your new hot tub. Ask the experts at Sunny’s Pools and More for more information on a new Viking hot tub!